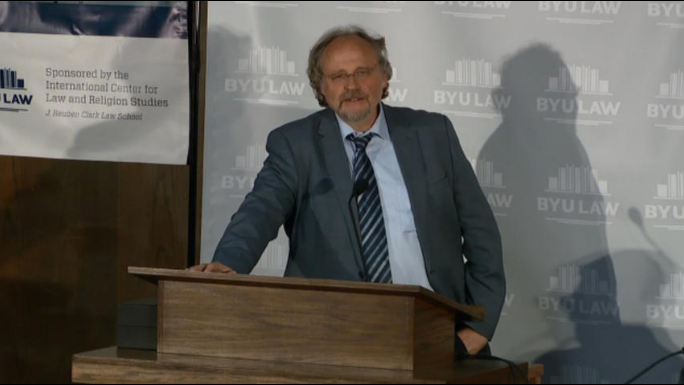 In his symposium-opening remarks, the German-born Professor Bielefeldt called freedom of religion “a most fascinating task.” Some in academic circles have dismissed it as “an impossibility.” Not true, said the professor — but it is a “highly provocative” issue for governments, religious communities and societies. On the surface, there is broad support for freedom of religion. But stretch the surface a bit and there are challenges, he said. Many governments frame religious freedom as a “Yes — but …” proposition. Some authoritarian governments identify a national religion and then act as custodians of that religion. But even secular states can limit or restrict religious freedom in defense of a national identity, he said.